Anna Jarvis of Philadelphia who started Mother’s Day celebrations also filed a lawsuit in an effort to stop the over- commercialization of Mother’s Day. She lost her fight. Anna had hoped for a day of reflection and quiet prayer by families, thanking God for all that mothers had done. The advice your son rejected is now being given by him to your grandson. What is your best memory of your mom? Describe your mom in one word. As a mother, what is the one thing you most want your kids to know? 1Cor. 13:1 If I speak in the tongues of men and of angels, but have not love, I am only a resounding gong or a clanging cymbal. 2 If I have the gift of prophecy and can fathom all mysteries and all knowledge, and if I have a faith that can move mountains, but have not love, I am nothing. 3 If I give all I possess to the poor and surrender my body to the flames, but have not love, I gain nothing. 1Cor. 13:4 Love is patient, love is kind. It does not envy, it does not boast, it is not proud. 5 It is not rude, it is not self-seeking, it is not easily angered, it keeps no record of wrongs. 6 Love does not delight in evil but rejoices with the truth. 7 It always protects, always trusts, always hopes, always perseveres. 1Cor. 13:8 Love never fails. But where there are prophecies, they will cease; where there are tongues, they will be stilled; where there is knowledge, it will pass away. 9 For we know in part and we prophesy in part, 10 but when perfection comes, the imperfect disappears. 11 When I was a child, I talked like a child, I thought like a child, I reasoned like a child. When I became a man, I put childish ways behind me. 12 Now we see but a poor reflection as in a mirror; then we shall see face to face. Now I know in part; then I shall know fully, even as I am fully known. 1Cor. 13:13 And now these three remain: faith, hope and love. But the greatest of these is love. If we look at this scripture we can see that it is really a description of Jesus. There is no one who loves us more and is willing to give more. One of the greatest qualities that God has given to women is their heart to love their kids. 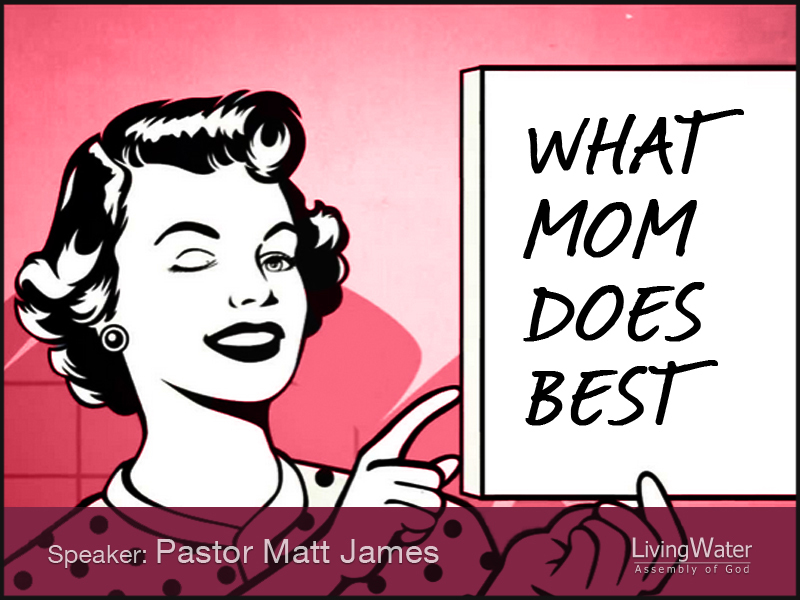 As Christ lays down his life for us so a mother gives up her life for her kids.